Assoc. 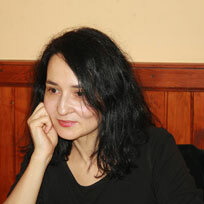 Prof. Mariana Malinova, PhD has been teaching at the New Bulgarian University since 2005. Her scholarly interests lie in the field of religious studies, history of translation and political theology of Islam. She graduated with a Master’s degree in Arabic Studies from the St Kliment Ohridski University of Sofia. She specialized at the Oriental Seminar of the Eberhard Karls University of Tübingen, at Vienna University, Al-Khair University, and the Spanish National Research Council (CSIC) in Madrid. She is editor-in-chief of “Orientalia” Journal and a member of Union Européenne des Arabisants et Islamisants (UEAI). She is the author of the book “History of the translation movement in the Abbasid Caliphate (8-10th century)”, of translations and articles in the area of Islamic cultural history.